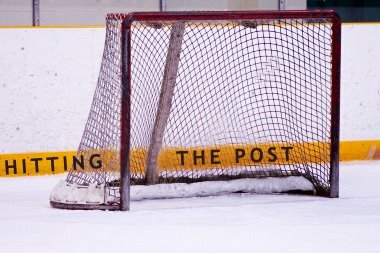 Hitting The Post: Center Is Key For Wild; 500 Posts! Center Is Key For Wild; 500 Posts! The question remains: are they enough? No doubt Mikko's as good an all-around player as the Wild has. But is he a true #1 center? Hard to say. Statistically, he was the 20th-highest scoring center in the league last year. So, sure. And maybe you can expect some kind of "New Fangled Post-Lemaire" increase in offense. Okay, so I'll stipulate that he's a bona fide #1 center in the NHL. But can he elevate his game to the top tier of #1 centers? We'll see. How about Shep as a #2? No doubt Shep has the build and we keep hearing that he has the promise to be a legit #2. And he could enjoy the fruits of the new system just the same as Mikko could. It's been very easy to poke fun at him for his "I've been playing since I was 3 comment" earlier this summer, but now it's time to put up or shut up. Writing him off would be stupid at this point, but he's got a lot to prove. If he can pull off a credible Ryan Getzlaf impression all would be forgotten very quickly. I happen to think Eric Belanger is a good #3. At least he was under Lemaire. And Brodziak is a wild card for me at this point - having all-but ignored him up to this point. Maybe Bela and Brodziak can push each other, presuming neither wants to spend more time on the fourth line than they have to. All in all, I think the Wild pivots mirrors the rest of the Wild forwards pretty nicely: pretty top heavy, though some potential if the kids come through. So, I suppose, the question becomes: are they enough....for what? If you're talking about a playoff calibre team...maybe. If you're talking about a Cup contending team...yeah, no. If you're talking about a team that will fight for the last playoff spots but just as likely fall short as make it...juuuust right. Also, HTP just passed the 500 post mark. On behalf of WRT, KiPA, the Hockey Ombudsman and myself, thank you for reading. HTP Wild Season Preview Extravaganza!